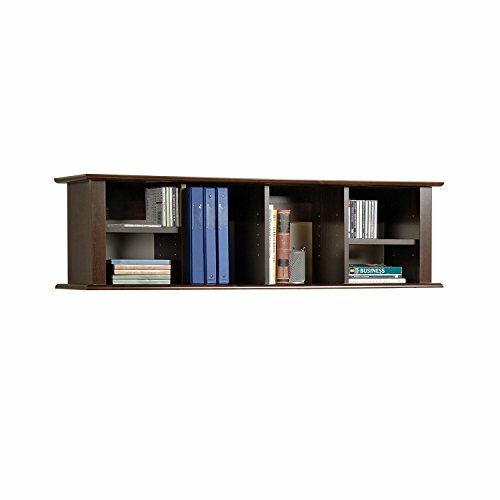 This attractive Bush Furniture Cabot 5 Shelf Bookcase is perfect for the home office or anywhere storage is needed. Its slender profile and 5 shelf design mix style with function at a great value. Use on its own or group a few together for a complete storage wall design. When outfitting an office use this Bookcase next to the Cabot Desk with Hutch combination (sold separately) for a seamless look as they match in height. The sophisticated, stable design has two fixed shelves for structural strength while three adjustable shelves let you customize so all of your items are sure to fit. The bookshelf lets you easily stow books, binders, decorative bins, accents and more. Made with quality materials and construction that meets ANSI/BIFMA test standards for safety and performance. A stylish and timeless design with an Espresso Oak, Harvest Cherry or Heather Gray finish complements any environment. See the full collection for coordinating items available, all backed by the Bush Furniture 1 Year Manufacturer's Warranty. Product Specifications: Color: Snow White Material: Wood Plastic Composite Board Measurement: 15" x 8" x 11.5" Net weight: 3.4lbs This MetLife 3 Compartment Organizer is a perfect addition for your home decor need, have it on your desk to manage your space, or put it in the kitchen to showcase your creation! Add storage space right where you need it with the Wall Mounted Desk Hutch. 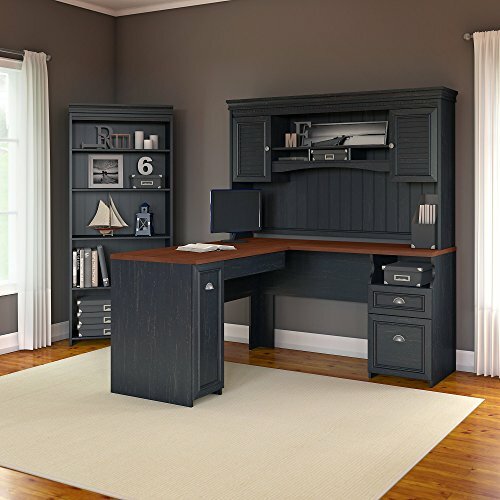 With its unique design and our innovative two-piece hanging rail system, this hutch has ample space for workspace necessities that just don’t fit in your desk. 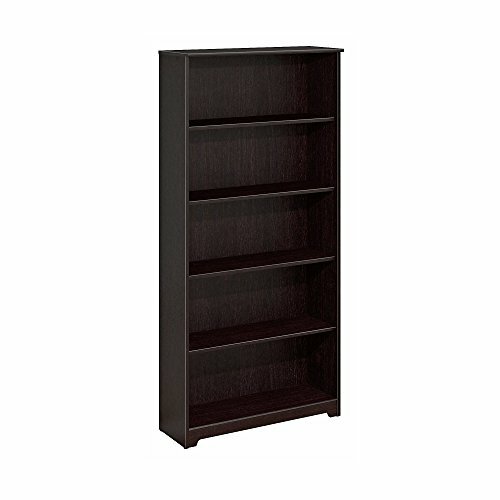 Adjust the four shelves to accommodate books, binders, disks or even decorative items. This piece is a simple way to double your desk’s storage without taking up valuable floor space. 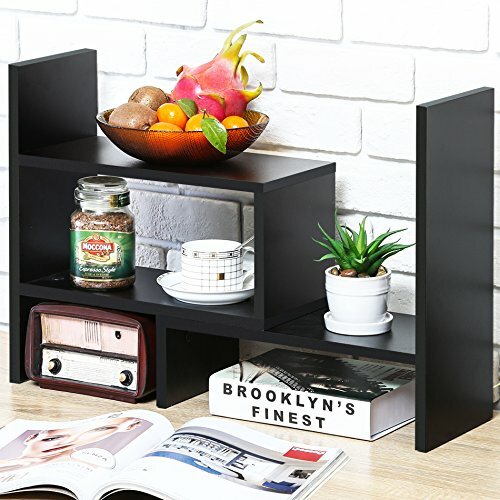 Color:Dark Black Keep your work space or countertop free of clutter with this freestanding shelf rack. 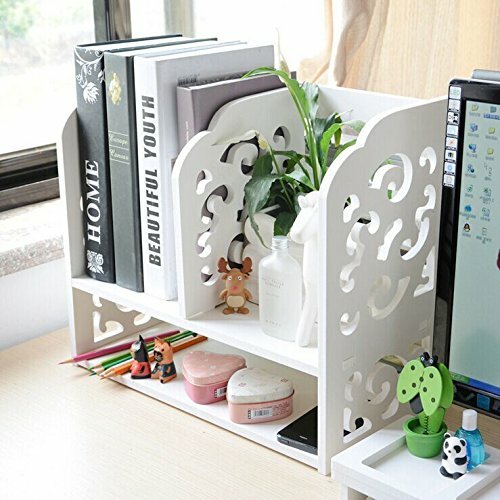 The sturdy, wood that makes up this storage shelf helps keep your books, office supplies, and knickknacks safely stored, and the small size makes this shelf rack perfect for any desk, table, or countertop. 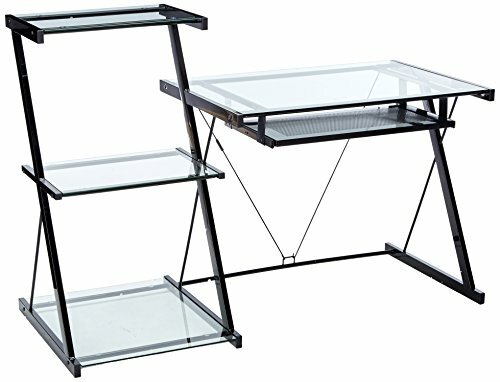 This organizer rack is made up of 2 separate pieces, which can be arranged in a number of different ways to best suit your needs. Push the pieces together to create a compact shelving unit, pull them apart for a longer shelf rack, or put the 2 parts together at an angle to make a unique shelf set that best fits your space. Display everything from file folders to keepsakes in style. This wooden organizer rack is just what you need. **FITUEYES. 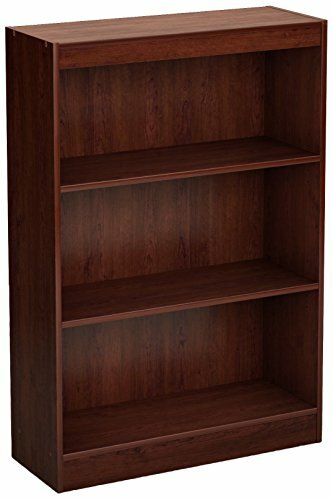 ** Approximate Dimensions (in inches): 13.3 W (extends to 27.5 W) X 15.4 H X 6.7 D.
Ideal for your binders, books or decorative items, this versatile 3-shelf bookcase can meet all of your storage needs. Both functional and attractive with its sleek contemporary styling, this bookcase is sure to enhance the look of any room in your home. Features 3 open, practical and accessible storage spaces, separated by 2 adjustable shelves that can support up to 15 lb. Features 3 open, practical and accessible storage spaces, separated by 2 adjustable shelves. Shelf #1 dimensions: 26.625'' (L) x 11.375'' (D). Accessories not included. Requires complete assembly by 2 adults (tools not included). 28'' (W) x 11.5'' (D) x 43.25'' (H). Box dimensions: 48.268'' (L) x 12.165'' (W) x 5.236'' (H), 42 lb. Packaging tested and certified to reduce the risk of damage during shipment. Made in North America with non-toxic laminated particleboard. 5-year quality guarantee. Any questions? Contact South Shore, the manufacturer, available 7/7 by phone, email or chat. 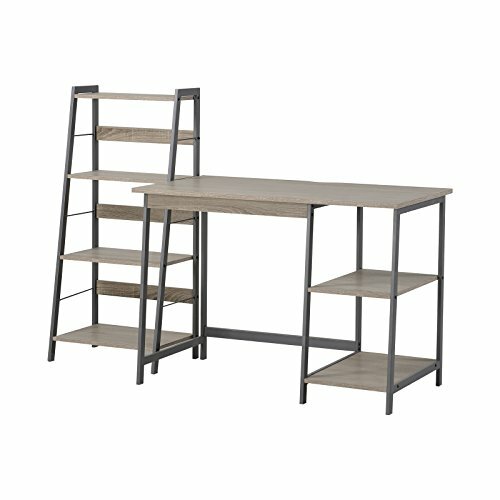 Copyright © Wholesalion.com 2019 - The Best Prices On Desks Office Furniture Bookcases Online.